Years: 1941, 1953, 1965, 1977, 1989, 2001. The Snake is yin fire and sits between the Horse and the Dragon, possibly the most powerful pair of animals in the Zodiac and certainly among the most difficult stools to fall between. So a typical weakness of the Snake is indecision. Next to that is lack of commitment and finally a propensity for sudden and uncharacteristic dishonesty. The Snake is the prisoner who breaks at the threat of torture; a reasonable decision if you know you’re going to give in anyway. Snakes being of Candle Flame fire, can be easily discouraged and sometimes they should be. A Snake may stick long term with an inappropriate choice so as to put off making any choice at all. The most written about Snake in 2012 was probably Xi Jinping, born in 1953, the year of the Snake in the Grass and elected at a time when the internal tensions in China – between efficiency and self-expression, between industrial wealth and rural poverty and between cohesion and corruption – had never been so stark. Never question his sincerity – he means what he says – but he is likely, like his near-twin Tony Blair, to believe that the more he is opposed by those whose beliefs conflict with his own, the more right he must be. For both of these dictatorship – that is to say the Mandate of Heaven – is the preferable regime because the Snake can so often not tell the difference between their view point and the absolute. Typically the choice for the Snake is between opposites: the extroversion of the Horse and the subtlety of the Dragon, instinct and logic, process and end product, long and short term, relationship and freedom, employment or entrepreneurship. In the face of this dilemma, a balanced Snake will often develop sufficient charm to get through without having to make the hard decisions. Typically in a relationship, the Snake of either gender is not the decision maker. The decisions she has not made may include the one to be committed to the relationship. The partner of the Snake (best choice probably Ox or Rooster though Monkey lady and Snake man works well) would be well-advised to drag at least this minimum communication from the Snake early on. Interestingly the 1953 Snake on the Grass is one of the best makers and keepers of relationship of all 60 pillars. Go figure. One of the advantages of being between the autocratic Dragon and the unruly Horse is that the Snake has her ego in check. Many would consider her wise because what she has to say is well-considered and she never says too much. The Snake can be a brilliant collaborator, especially with the Ox and the Rooster who are in a sense similar to her neighbours: the Rooster is blatant (much like the irrepressible Horse) and the Ox determined (like the heads-down Dragon) while the Snake anchors them to each other. There may be moments of doubt when the Snake’s loyalty wavers. At such times, the Snake asks searching questions which should have been settled long ago and then usually re-commits. The high minded Brutus was probably a Snake. Not Judas though. To know this grants the Snake both power and integrity. Snakes who know this about themselves earn undying trust. The Snake can also work with the Dragon in what is called the House of Magic. Only she can subordinate her ego to the extent that the Dragon demands while also keeping up. An ideal Snake vocation is high-level p.a. Usually (and wisely) the Snake opts to be No 2 rather than Big Chief. Being substantially of yin fire, the Snake often has intellectual and visual gifts. She makes a good critic as her judgement is sound and she is not out to destroy egos. She will generally have natural and effortless style. The Snake has a love-hate relationship with the Monkey. Both have hands-on and logical ability and both attract occasional tussles but where the Monkey welcomes opportunity for mischief, the Snake treats dispute as a regrettable evil. When a Tiger appears in the form such as a Tiger-born person or a Tiger month (February), this misunderstanding can turn nasty. In a Rabbit year it’s plain sailing, in a Pig Year like 2019 more complex. The Snake is opposed to the Pig and as both are members of the informal group sometimes called the Four Terminals, they can impede each other’s movement. Snakes may develop mobility issues in a Pig year and vice versa. The Snake prefers a short menu and yes/no questions. In a Rat year he may be overwhelmed; there is just too much choice, The Snake’s dreams may come true only for her to run in the opposite direction. Communication often has to be wrenched from the Snake and in the water years of Rat and Pig there is little support for the tight-lipped. In a typical Ox year there is just enough water but not too much. This makes scope for just the restricted level of communication the Snake prefers. Snakes have a complex relationship with Fire. They are not usually sun-worshippers but often their skin needs just a little regular sun and without it they may fall prey to easily avoided ailments such as vitamin D deficiency. Caution! Snakes, being an elemental mixture of Fire, Metal and Earth were quite successful in 2018. The Dog doesn’t particularly favor them, but embodies the same elemental mixture in different proportions and polarities. When chaos comes you’re both good at seeing the opportunities it provides, but the Snake is so much more flexible. In 2019 you’re the Sui Po; the Year Breaker. The Pig is your clash animal. Much of the year’s energy will be directed at you. There is a disproportionate amount of attention to your actions. Stay ahead of trouble by being transparent. Alexandra Ocasio-Cortez is a 1989 Earth Snake. She’ll be a target of criticism and accusation, deservedly so or not. Alexandra is young and her Fire element is very strong. It won’t be an easy year, but a big clash like this will make her, not break her. 2018 was good to Alexandra as it was to Brett Kavanaugh, 1965 Wood Snake. In a different month or year we might have seen him finally cave in to the truth. Not that Kavanaugh would admit to lying, but perhaps he would have recused himself and quietly slithered away. He could have created a very different legacy. Obviously that wasn’t what he wanted. Snakes who have lied can expect to have that exposed this year. In 2019, Kavanaugh’s career will continue to be plagued by his past dishonesties. Brett’s Fire is not strong. He’s going to have some mobility issues; upward mobility. Travel is your thing, and this year Snakes will have a lot of it, especially in the context of business. Could be frustrating. If you are able to plan ahead, avoid February, May, August and November. Travel during these months could cost you extra in terms of both money and time. Consider travel insurance. Beware of special third party deals on travel packages and tickets. If it sounds too good to be true it certainly is. Push yourself in the first quarter of the year when there’s the least blockage. In January an associate in a position of power, the Ox, wants to help you. Don’t miss the opportunity to get their counsel. Between your planning skills and the persistence of the Ox, you can easily mitigate, or even capitalize on, your clash with the Pig. If you need to come clean about anything, confess to the Ox early on. Snakes will be tempted to give overly optimistic sales pitches in February, March, May and June. Don’t overplay your hand. Stay vigilant regarding your reputation. Rapid changes come in August when the water element is strong for the rest of the year. Compliance with law and regulations, especially in financial matters is a must. 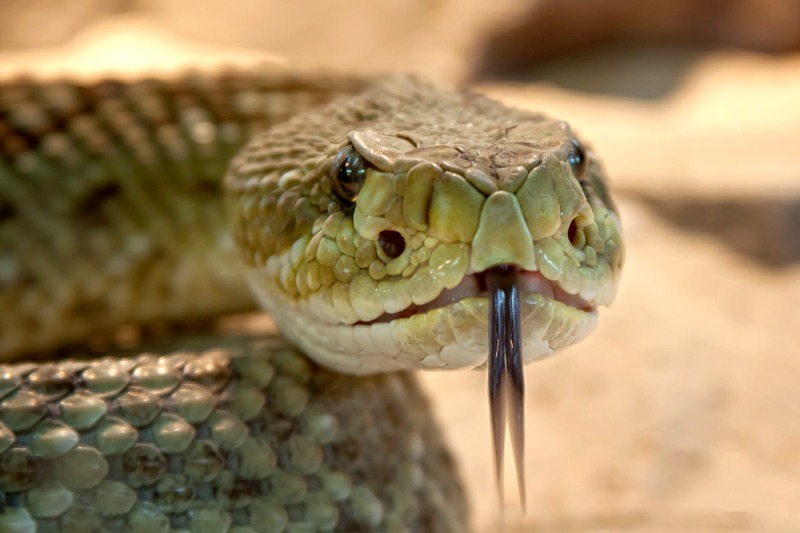 Snakes are a focus of power and authority – either a comeuppance or a promotion. You’ll find out in November. A Snake is not one to overlook a detail – in 2019 check twice. Some diviners say that a clash year is automatically a wash, but the four stems and branches of your BaZi and your 10 year luck cycle tell the real tale. Do you know yours?